Hey, friends! 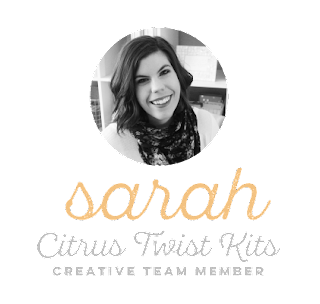 It's Sarah here, and today I'm sharing a fun way to incorporate digital elements into your project! I think one common misconception when it comes to digitals is that you need a bunch of fancy software in order to use them. That couldn't be further from the truth! Fancy software can be nice when it comes to cut files or wanting to make major modifications to a file for your project, but sometimes just having the ability to print a digital element is good enough. I love print files because it allows me to choose what paper I want to print on (I typically use regular printer paper when I'm going to be using them in my traveler's notebook (TN), and I get to type my journaling directly onto the cards/labels, which is great if you're someone like me that doesn't own a typewriter! Another major bonus is that digital files are typically less expensive (or in this case, FREE! ), plus you can print them over and over again. For this TN layout I started by downloading the free cut apart labels from the "Perfectly Posh" kit (available here: https://citrustwistkits.com/collections/digital-files/products/perfectly-posh-cut-aparts-free-august-2018) and then typed up some journaling onto some of the labels using the Typewriter option in the Toolbar menu. 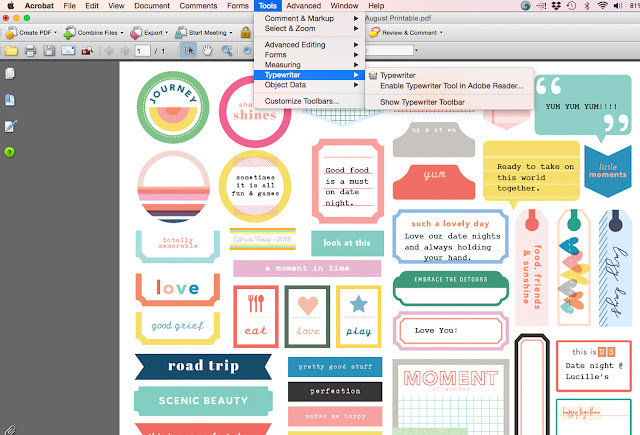 Lastly, it was a matter of just printing, cutting, and then figuring out how I wanted to place everything on my page. 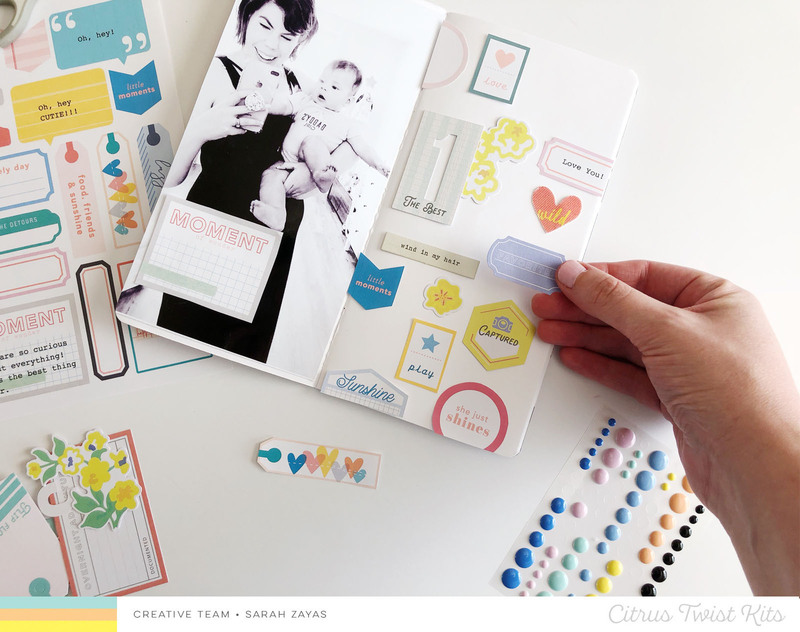 I had fun mixing the printables with other elements from the "Perfectly Posh" Pocket Life kit so I could have a nice variety of shapes and textures. I'd love to encourage you to try out some of the printables in the Citrus Twist Kit Shop to see how you can incorporate them into your projects!